Ila - Fairfield, Iowa - Tune into our Vibe! Casual dining, American regional foods. Family friendly dining with an emphasis on fresh food, fast, friendly service. 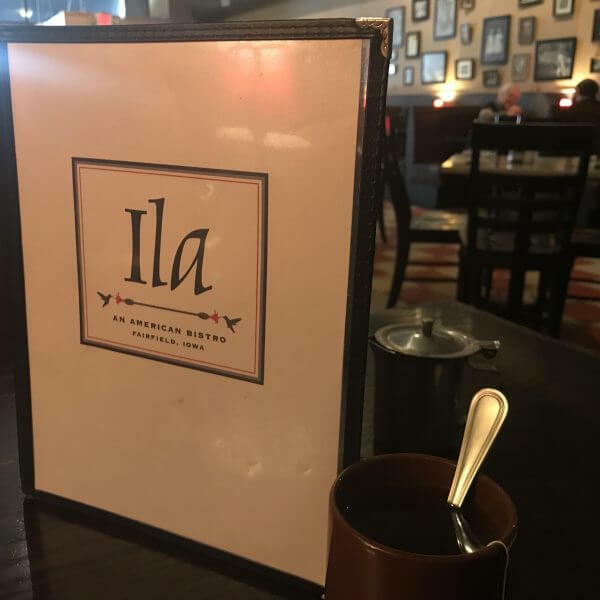 Voted one of Fairfield’s favorite restaurants by the local population, Ila was named for Chef Sharon Stinogel’s mom. 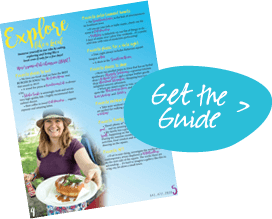 Chef Sharon pays homage to her mom, An Iowa farm girl who loved to cook, with some of her favorite Midwestern dishes on the menu. Pasta, sandwiches and homemade soups populate the daily menu while prime rib and butternut squash lasagna are specials. Sunday Brunch brings out an amazing array of “good morning” dishes, complete with homemade biscuits and mimosas. Wed. – Thurs. 11:00 a.m. to 8:30 p.m.
Fri. – Sat. 11:00 a.m. to 9:30 p.m.
Sunday 9:00 a.m. to 7:30 p.m.